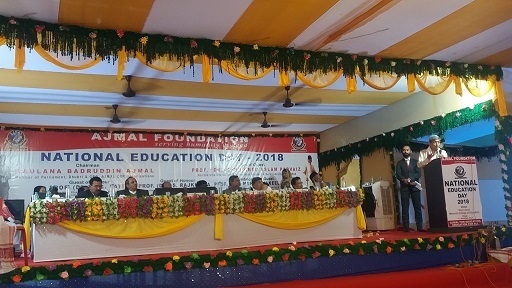 “The social responsibility which Ajmal Foundation has taken up is exemplary,” said Prof (Dr) Mohammad Aslam Parvaiz, Vice Chancellor of Maulana Azad National Urdu University, Hyderabad who was present as chief guest on National Education Day programme organized by Ajmal Foundation at Nazir Ajmal Memorial College of Education (B Ed) in Hojai on Sunday. He lauded the efforts of Ajmal Foundation in uplift of society, specially emphasizing on the poor and deprived ones. “Steps in education sector by Ajmal Foundation are revolutionary,” he added. 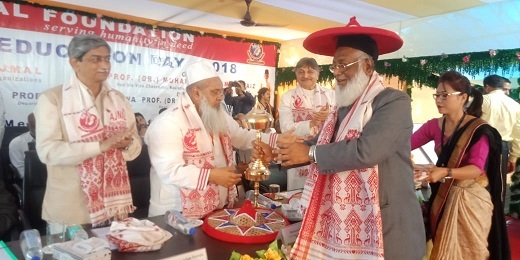 Speaking on the occasion, Prof (Dr) J S Patil, Vice Chancellor, National Law University and Judicial Academy, Guwahati, who graced the occasion as guest of honour, desired to work with Ajmal Foundation in legal education sector together, for empowering the youths of the north-eastern region. 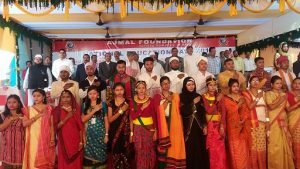 Notably, Ajmal Foundation celebrates National Education Day every year on November 11 at Nazir Ajmal Memorial College of Education (B Ed), Hojai, in commemoration of the outstanding contributions of Maulana Abul Kalam Azad, the first Education Minister of independent India in the field of education. This year the occasion also marked the establishment of the pioneer legal institute ‘Ajmal Law College’ in the newly constituted district of Hojai with a special lecture on ‘Importance of Legal Education in India’ by eminent personalities of the field.